Paul Buschmann is a veteran trial lawyer who has handled hundreds of jury trials in county, circuit and federal courts. He has litigated cases involving personal injury, wrongful death, transportation liability, bad faith and both legal and medical negligence claims. Mr. Buschmann has spent the majority of his legal career representing a variety of individuals, businesses and corporations who have been accused of some form of wrongdoing in the civil courts. For more than 15 years, Mr. Buschmann focused his practice exclusively on the defense of medical malpractice claims, representing the interests of both hospitals and individuals across the entire range of specialty practitioners. During this time, he was Board Certified in Civil Trial Law from 1996 to 2011 by The Florida Bar and handled several hundred jury trials. His three decades of courtroom experience place Mr. Buschmann in a position to actively counsel and advise his clients on matters significant to them with an eye toward avoiding litigation whenever possible. In addition to his active trial practice, Mr. Buschmann has been directly involved in all forms of ADR, including arbitration, mediation, mock trials and advisory jury trials. He has also performed appellate work on many of his cases where an appeal was filed. Mr. Buschmann joined Hinshaw & Culbertson LLP in December 2005. 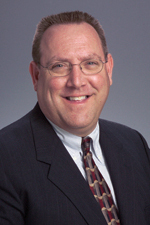 Previously he was a founding partner of the Michaud Buschmann firm of Boca Raton for 10 years. He was also an associate and then partner at Parker Johnson Owen McGuire & Michard from 1987 to 1993, and he began his legal career at Wicker Smith Blomquist Tutan O’Hara McCoy Graham & Lane, where he was an associate for four years. "Practice in the Cloud Without Crashing and Burning: Ethical Considerations of Cloud Computing," webcast, West LegalEdcenter, June, 2014. "Are You Efficient, Effective, or Just Plain Lucky? Tools and Techniques to Keep You and Your Practice Out of Trouble," webcast, West LegalEdcenter, February 2014.